Financial Aid . . . Ready? Set. Go! The date to submit the FAFSA for financial aid begins on October 1 . . . are you ready? There is no doubt the new date can lead to confusion. How does the timeline fit into college awarding? Why do they use the term “prior-prior year” to describe the origin of financial data? Can I just file later? While we can’t address every change to the process, we will take a moment to touch on a few of them along with at least one specific that has not changed that continues to be a critical aspect in the process. The one thing that hasn’t changed is when you should apply. Yes, the date has changed, but when has not! The answer to filing, as it always has been, is do it early! Federal aid is awarded on a first-come, first-serve basis. When it’s gone, it’s gone! So don’t delay. The biggest change has come in what tax-year to use for financial data. They use the term “prior-prior year” to describe which financial data. For instance, a student beginning college in the fall of 2017, would use their 2015 tax returns for completing the FASFA. New to the process is the need for everyone to obtain a FSA ID (Federal Student Aid ID). Both students and parents must create separate FSA ID’s in filing the FASFA. Many colleges and universities understand the impact of this new filing date as it relates to their financial aid awarding and admissions acceptances. However, there are some institutions that are still determining their own timelines. Best practice is to be totally aware of those colleges in consideration to make the best decision. If you are having trouble with the process, there are people who can assist like high school guidance offices and many IEC’s (Independent Educational Consultants) or CCPS’s (Certified College Planning Specialists) across the country. In order to understand the changes forthcoming, let’s take a brief look into how the system works currently. For many, this review may prove helpful since these changes have no impact on this year’s senior class (2016). For the class of 2016, parents and students will begin the arduous task of completing the current FAFSA as soon after January 1, 2016 using financial data from their 2015 tax returns (prior-year). The sooner it can be completed the better. A logistical processing change will affect this group and future groups as it will be required by all to register and sign-in with a personal username and password — better known as a *FSA ID. This will be required of both the registering parent and a separate FSA ID will be required for the student. Current sophomores (2018) and juniors (2017) are facing some of the biggest changes ahead. They too will be required to create a new FSA ID, but that’s where the similarities end. Beginning with the current juniors (2017), completing and submitting the FAFSA will be possible as early as October of their senior year. This is huge! The ramifications of this early filing means families will have a better understanding of their EFC (estimated family contribution) and financial aid awards can be determined before making final college choices are complete. Further, and likely most significant, will be the year in which the FAFSA will be based. Starting with the current juniors (2017), the tax year to be used in the calculations will be what is termed the prior-prior year. What does this mean exactly? For current juniors (2017), this means this year’s taxes (2015) will be used for this year’s juniors when it comes to completing the FAFSA in October of 2016. **What if you have a current senior (2016) and a current junior (2017) in one household? Under the recent changes, this family will be using the same tax return for both students. 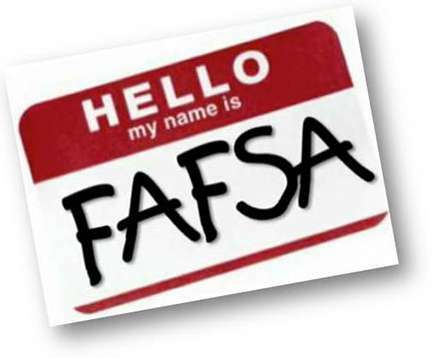 For their senior (2016), they will file the FAFSA as early as possible (January-February) in 2016 and again in October of 2016 for their junior (2017). YES! They will file twice in one year!! *To learn more about creating your new FSA ID click here! If your family is like many families trying to reduce the rising cost of college through the use of scholarships, then you understand the importance of accurate and accessible information. But all too often, it’s frustrating trying to locate and determine eligibility for lack of reliable resources. This frustration quickly reduces the once worthy and satisfying experience into nothing more than abandoned opportunities for dollars and ultimately, college. But that is all changing with Scholar-Box and your local high school guidance office — the scholarships are coming home! It’s completely free to students in an ad-free environment with student information remaining secure as a rock! It just doesn’t get any better than this! All of your local scholarships in one single location, sorted by those that match your profile with links to their websites, applications and deadlines. While this sounds too good to be true for students, it’s not! It’s both very good AND very true! But even better are the benefits for individual high school guidance counselors! Eliminate the paper files, the bulletin board notices, the hours of updating website information for each scholarship and stop guessing on who may or may not apply! Reduce the management of hundreds of scholarships to merely minutes and know for certain which of your students are looking and applying to each of every scholarship on your local list every day! It’s just that easy! Increase the accessibility and availability of your local scholarships and increase the number of students winning scholarships! And by doing so, you’ll fundamentally decrease the number of dollars sitting around collecting dust! Take a look at how the Guidance Office of Lone Peak High School integrated Scholar-Box for their students! Scholar-Box is the one place for all of your scholarships! It’s the best (and only) resource for organizing, monitoring and identifying scholarships for students and counselors/consultants. Mark Cruver, President of Capstone Educational Consultants has joined with Scholar-Box to bring these opportunities to Fayette County, Georgia! Find a list of local (Fayetteville, GA) scholarships here! Help bring your scholarship home by encouraging your local Guidance Counselor to make Scholar-Box available for your school today! In less than a day your high school and your students can be actively pursuing hundreds of thousands of dollars in scholarships!